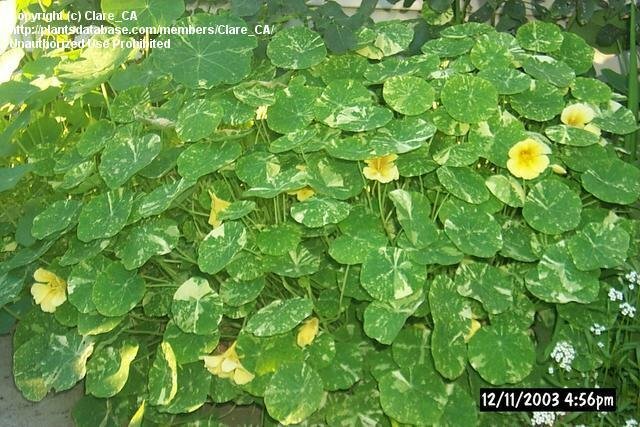 These are variegated Nasturtiums with yellow flowers. 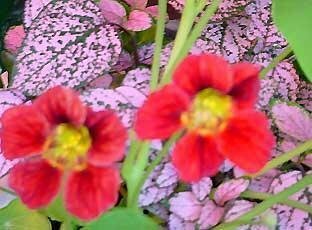 This is a mix of different types. 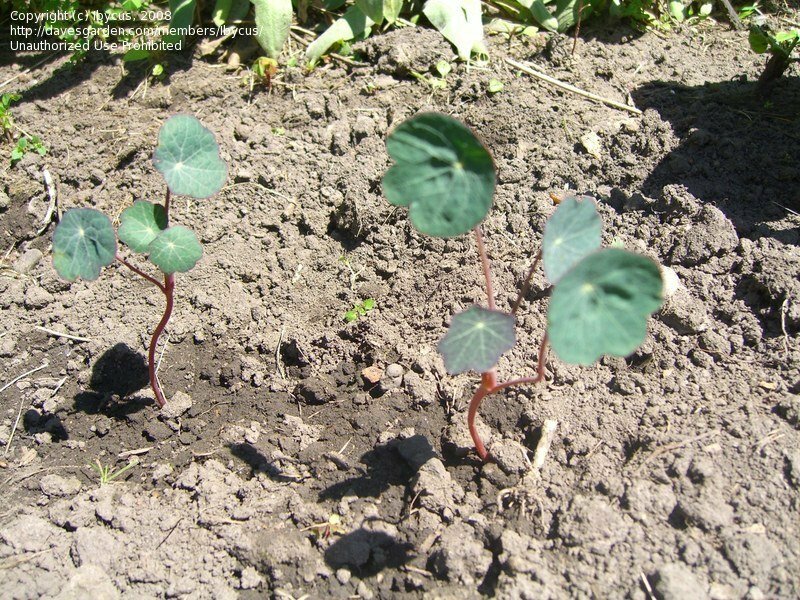 These are growing in the ground and self-seed regularly. 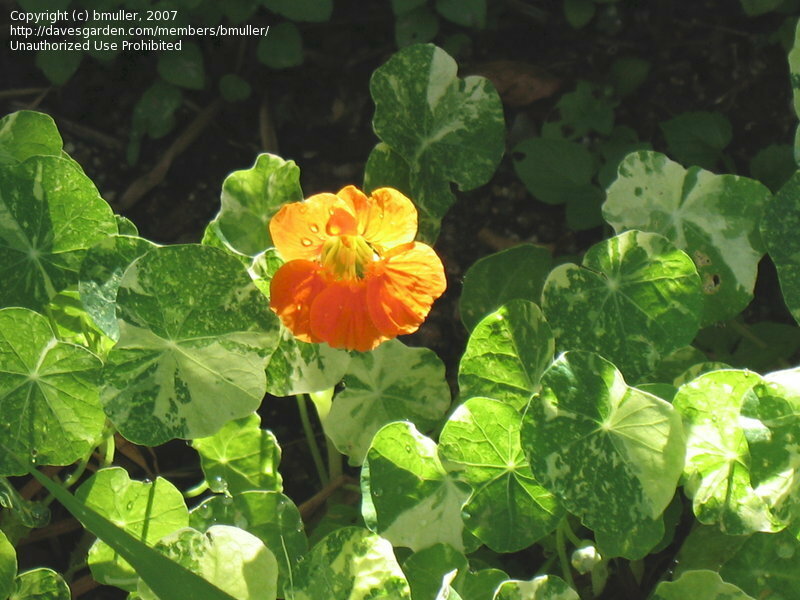 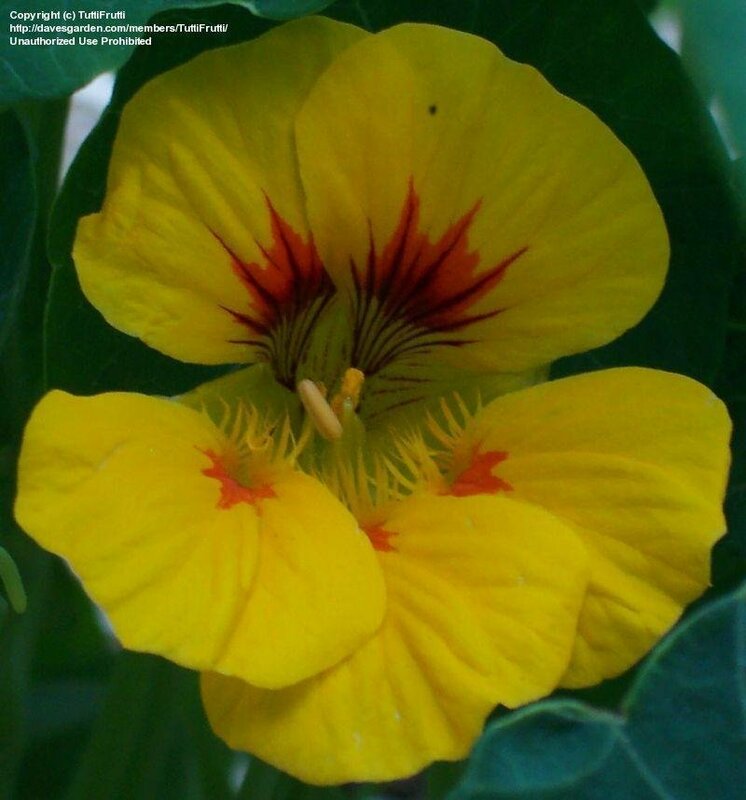 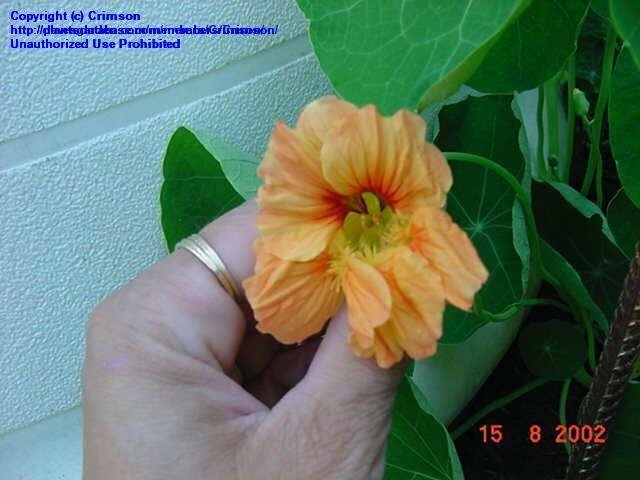 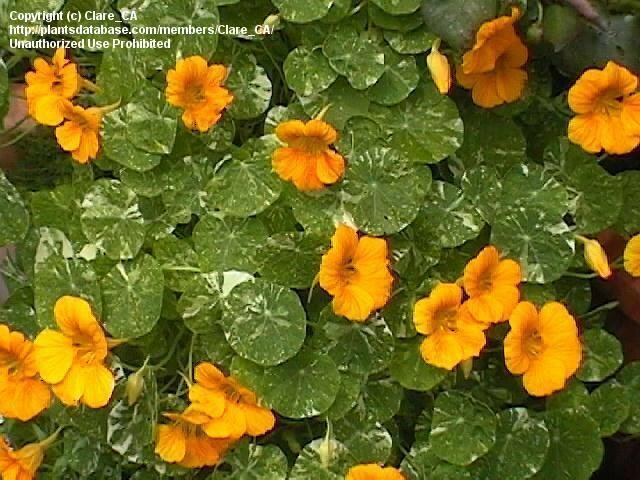 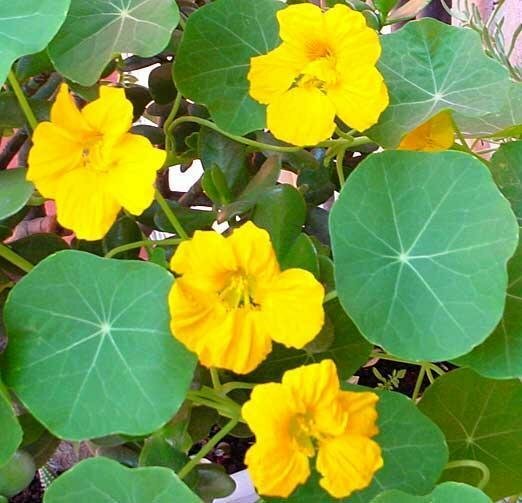 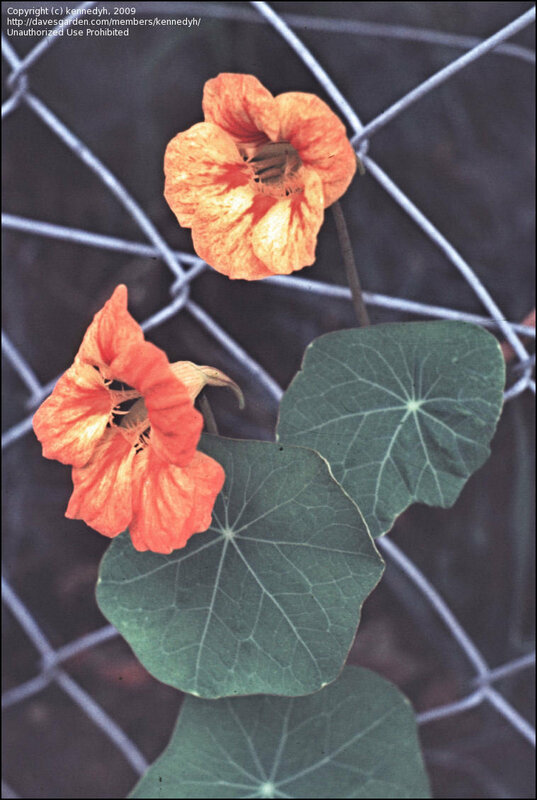 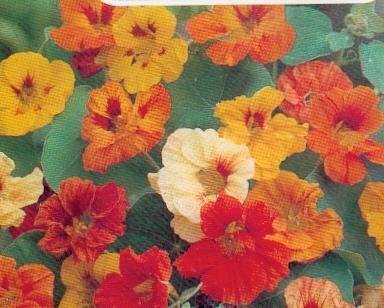 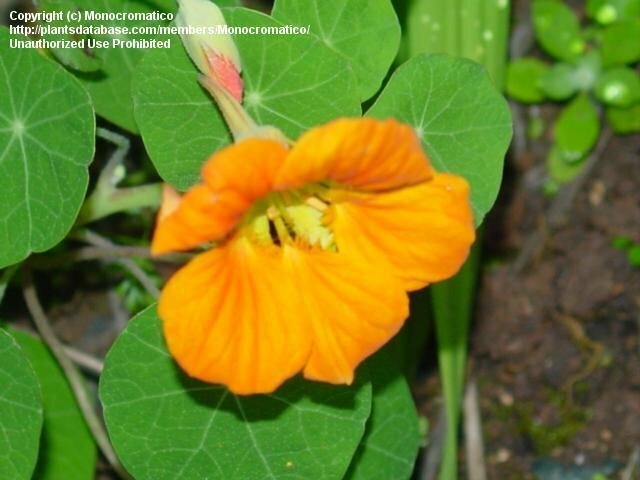 This nasturtium is variegated with yellow flowers. 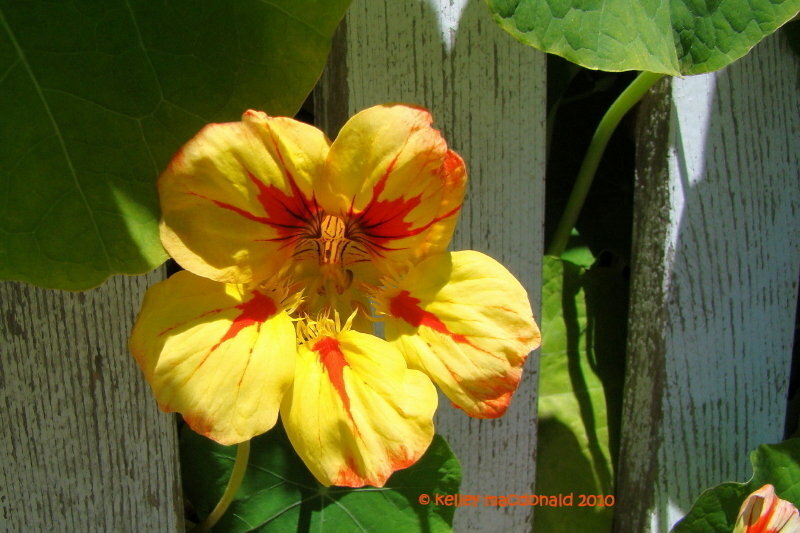 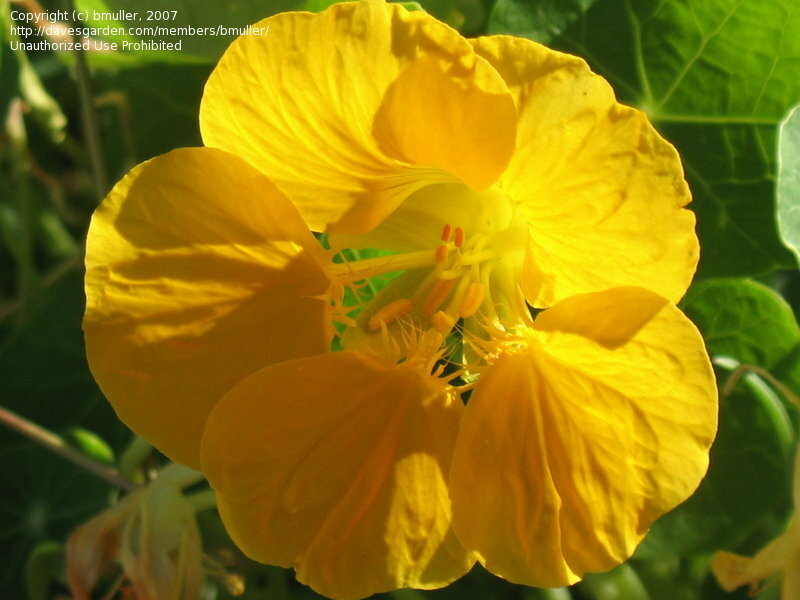 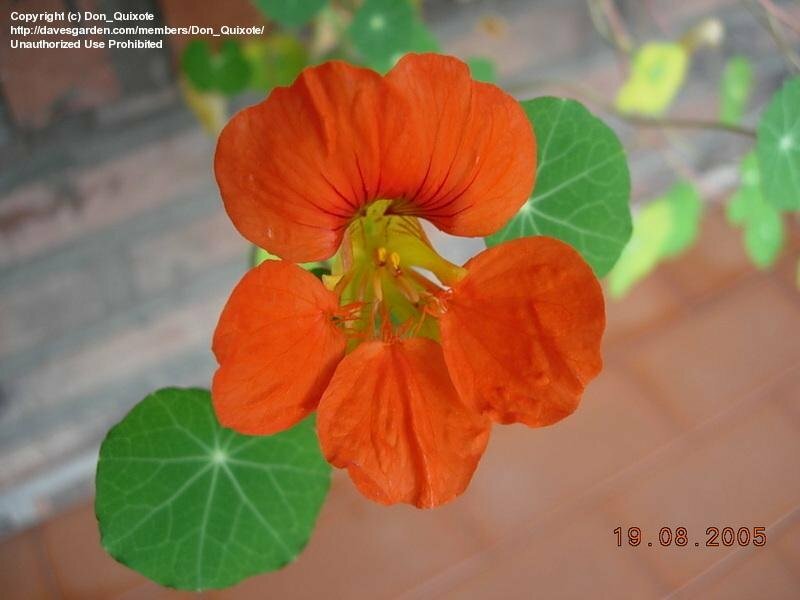 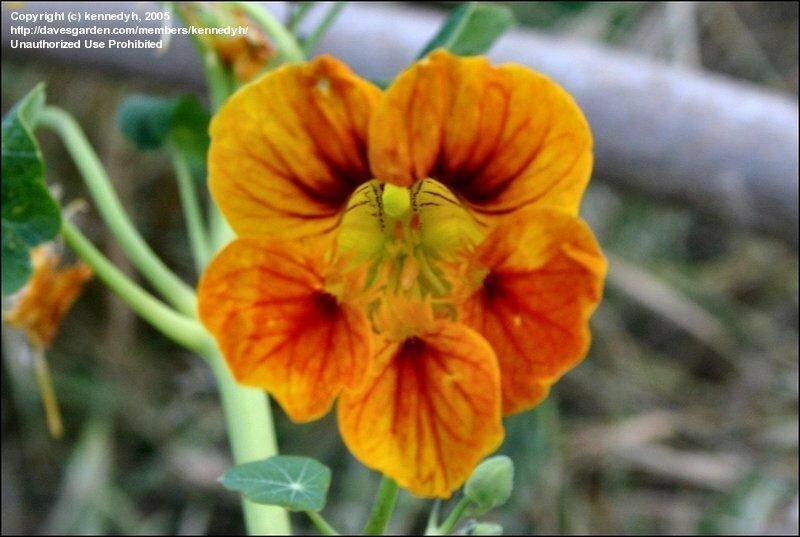 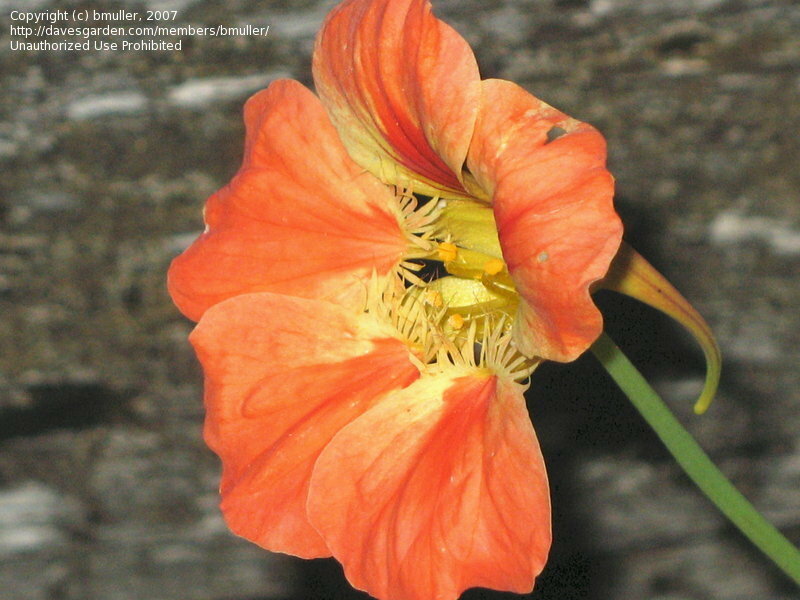 This is a close-up of a nasturtium flower. 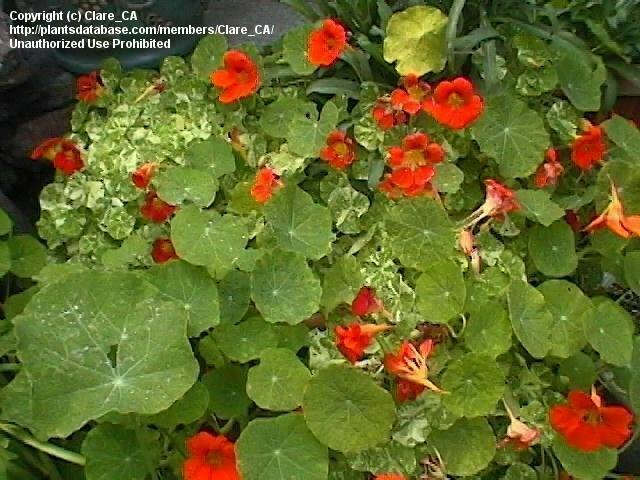 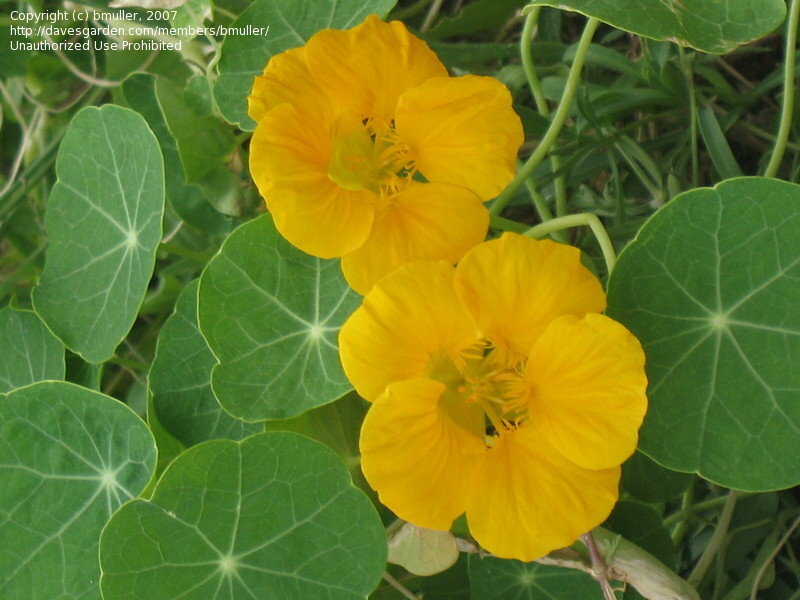 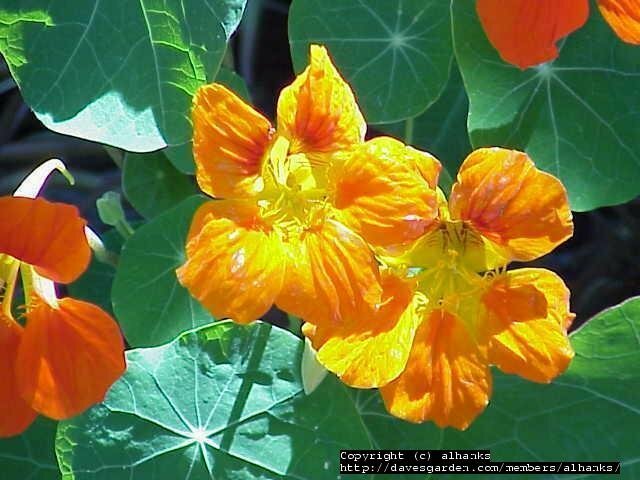 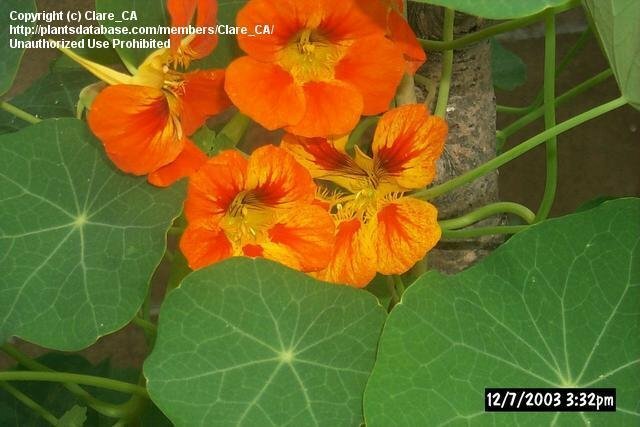 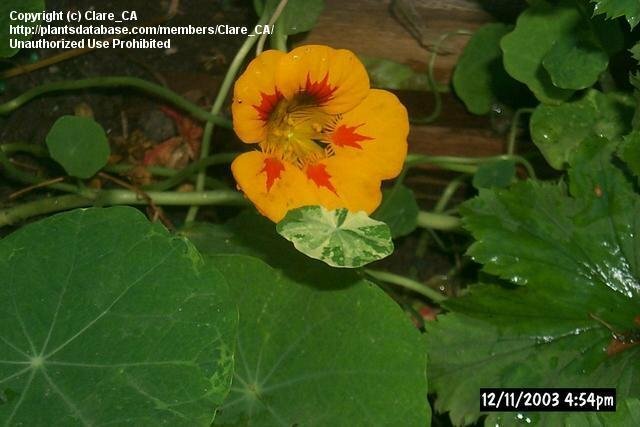 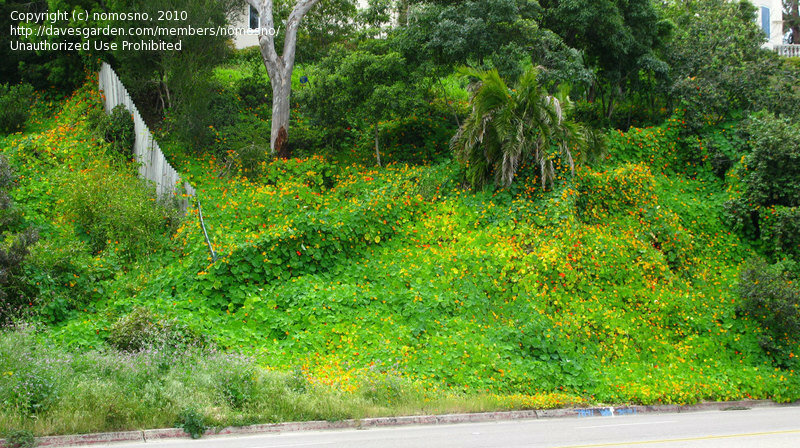 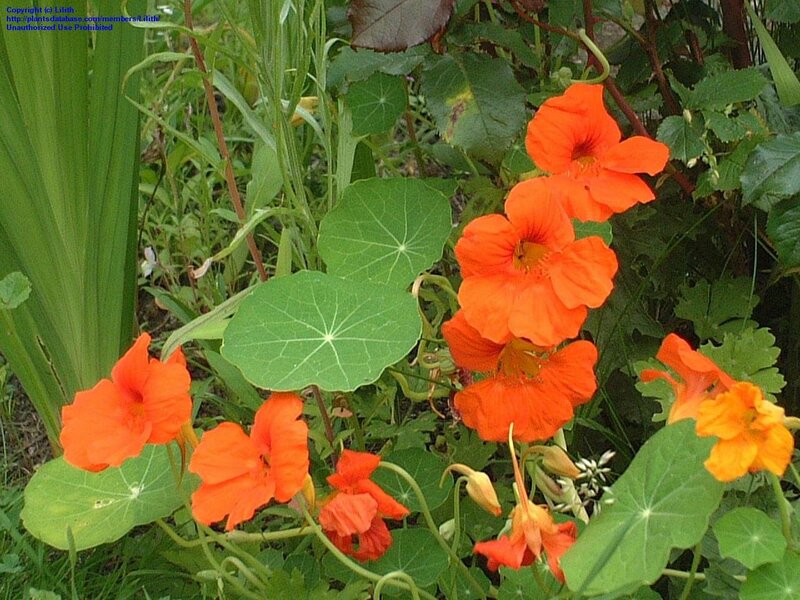 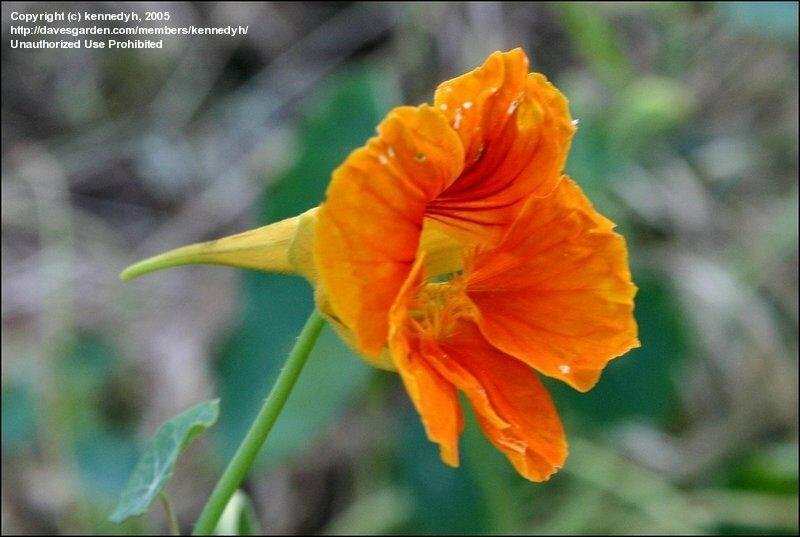 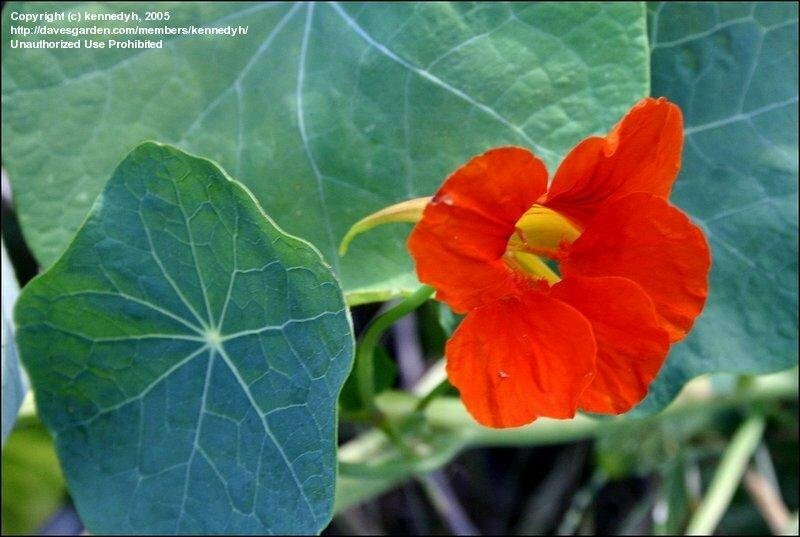 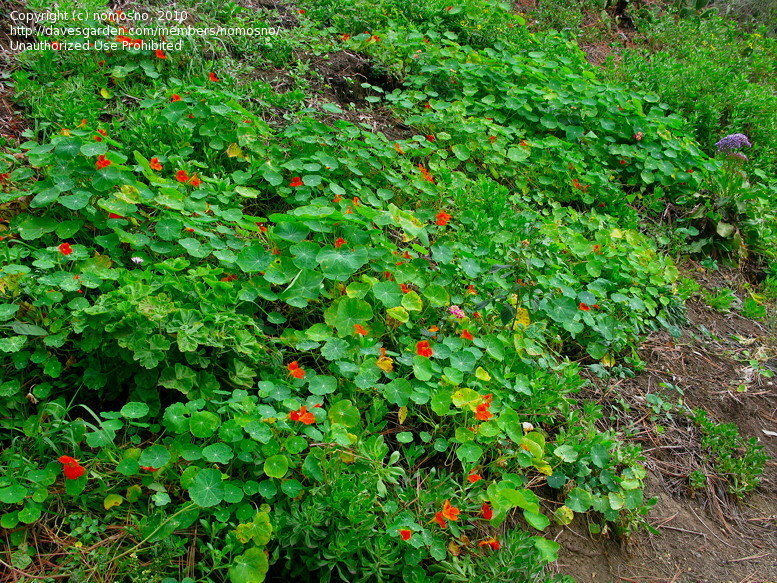 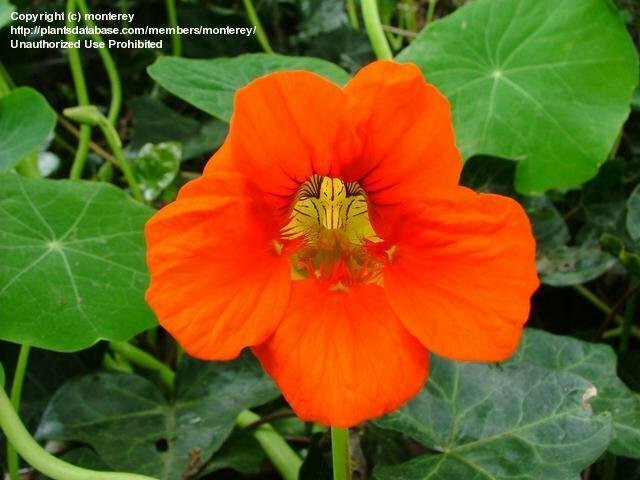 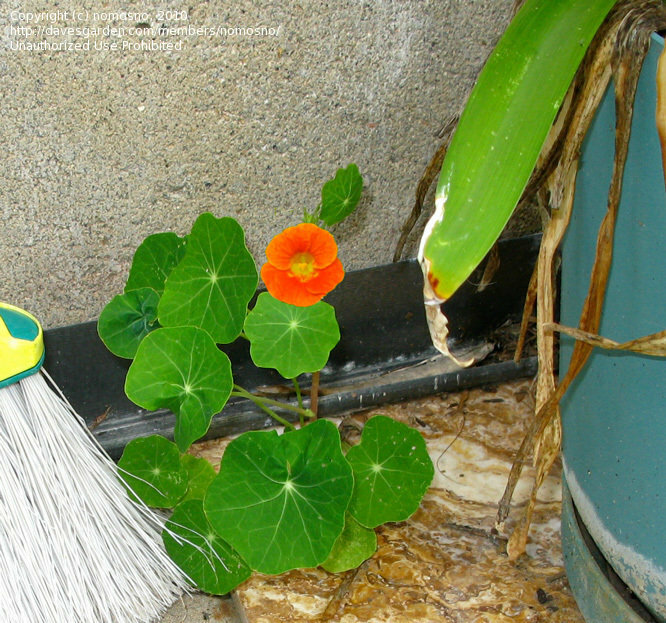 Nasturtium growing wild in San Diego (La Jolla Cove) with other naturalized plants. 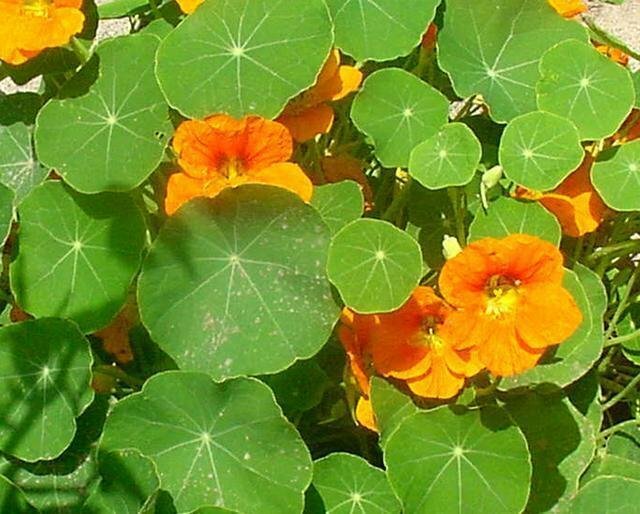 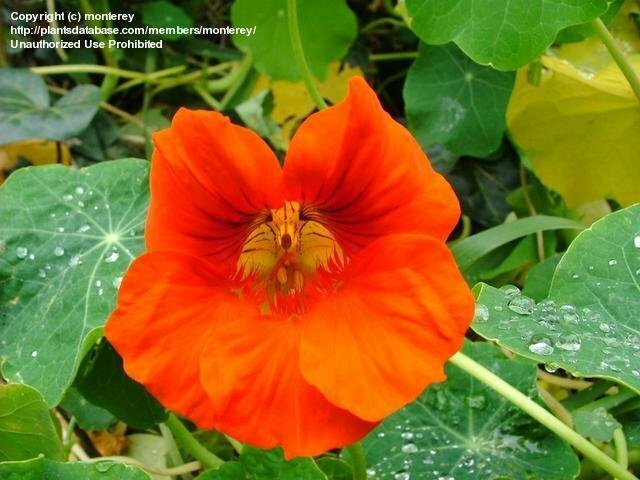 Nasturtium as weed - self seeded and popped up from a crack with virtually no soil.